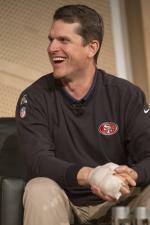 Direct Sportslink secured Jim Harbaugh for the annual Toyota Board of Governors meeting in San Francisco, California. Jim was the featured sports celebrity on a list of high profile celebrities participating with a moderated Q and A session hosted by Ben Stein. To secure Jim Harbaugh for any speaking engagement, personal appearance, or endorsement please contact a Direct Sportslink talent booking agent. We can provide you with Jim's availability, appearance fee, and secure jim Harbaugh for your next event. A Jim Harbaugh personal appearance, Jim Harbaugh speaking engagement, or Jim Harbaugh endorsement will reflect well on your company. To hire Jim Harbaugh now for any corporate appearance, fundraiser, motivational speaker event, personal appearance, autograph signing, or website endorsement please contact our celebrity agents at 1-877-6-SPORTS. We will contact Jim Harbaugh or contact Jim Harbaugh's agent and provide you with the booking fees and availability immediately upon your request. Direct Sportslink is the only sports speakers bureau and talent booking agency based in the United States securing only sports talent for corporations, associations, and organizations for motivational speaking engagements, personal appearances, and endorsements. We are the premier sports celebrity booking agency and a sports celebrity procurement expert. Accordingly, we will provide you with any relevant Jim Harbaugh website information and booking agent details so that you can hire Jim Harbaugh for your next event. Jim Harbaugh is a former NFL quarterback who played for the Chicago Bears (1st Round Draft Pick), Indianapolis Colts, Baltimore Ravens, San Diego Chargers and finally the Carolina Panthers of the NFL. 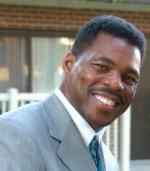 He was drafted by the Bears out of the University of Michigan with the 26th pick in the first round of the 1987 NFL Draft. Harbaugh was a four-year letterman at the University of Michigan and finished his college career in the top five in passing attempts, completions, completion percentage, passing yards, and touchdown passes for them. Playing for Bo Schembechler, he was a three-year starter and led the Wolverines to appearances in the Fiesta, Holiday, and Rose Bowl games. As a senior in 1986 he guided Michigan to a #2 national ranking while earning Big Ten Player of the Year honors and finishing third in the Heisman balloting. In January 2005, Jim was inducted into the Indianapolis Colts Ring of Honor as one of the most successful and popular players in the club's Indianapolis era. For his NFL career, Harbaugh played in 177 league games with 140 starts. 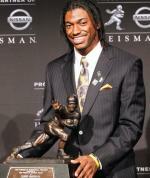 He completed 2,305 of 3,918 passes for 26,288 yards with 129 touchdowns. He was nicknamed "Captain Comeback" (the second player to be so nicknamed after Roger Staubach) for his ability to win games in the fourth quarter after overcoming significant point deficits. 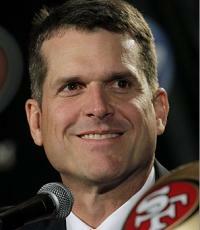 On December 18, 2006, Harbaugh was named the head football coach at Stanford University. On January 7, 2011, just four days after winning the Orange Bowl, Harbaugh agreed to a 5-year $25 million contract to become the next head coach for the San Francisco 49ers. Harbaugh was named the AP NFL Coach of the Year in 2011-12. After several years coaching the 49ers, he was named the Head Football Coach of the Michigan Wolverines in December 2014. Based on your interest in Jim Harbaugh as a speaker or for a personal appearance, Direct Sportslink has provided you additional links below for other sports talent with similar appearance fees, speaker topics, and categories that match Jim Harbaugh.